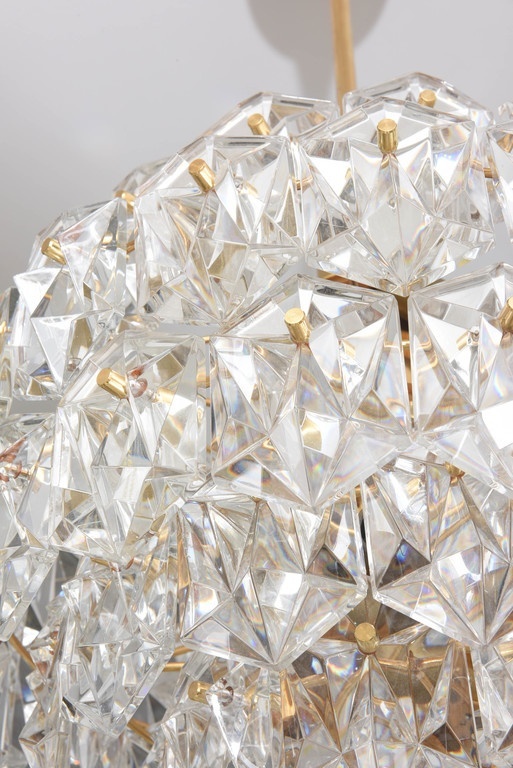 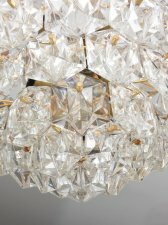 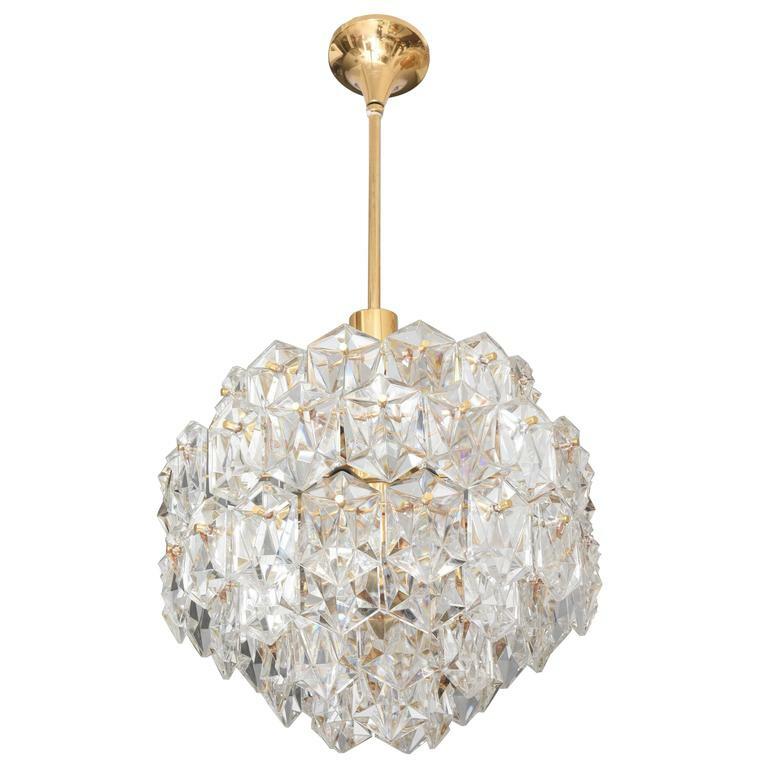 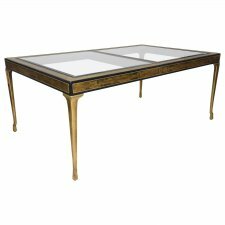 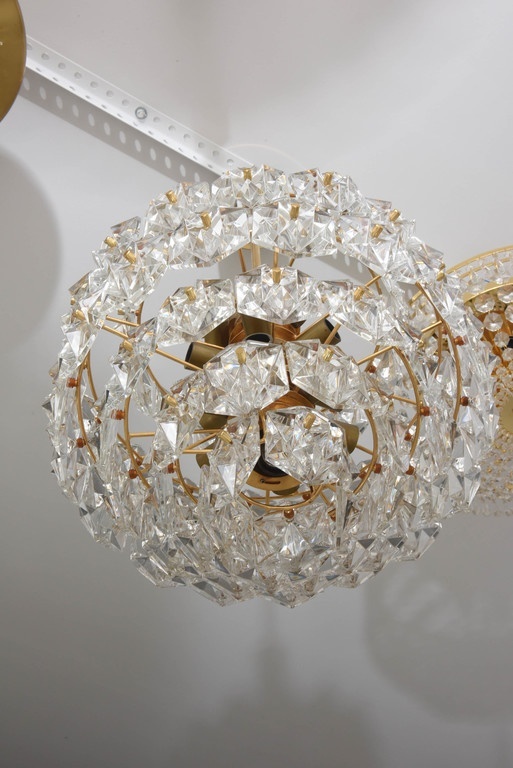 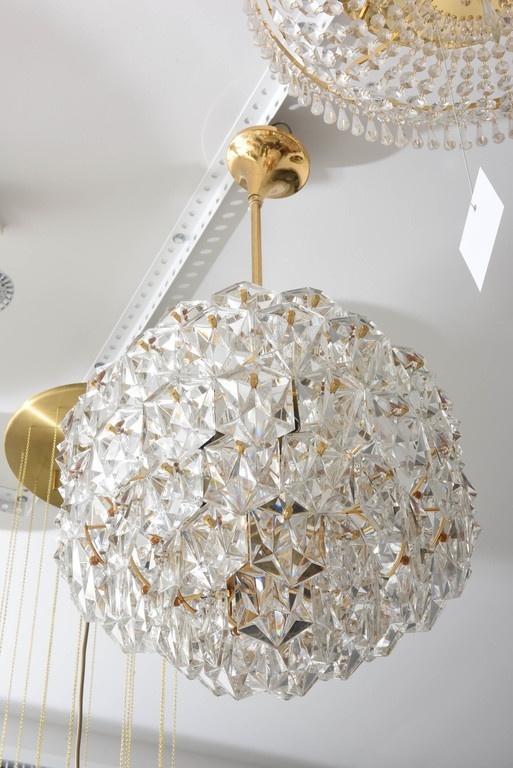 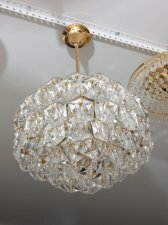 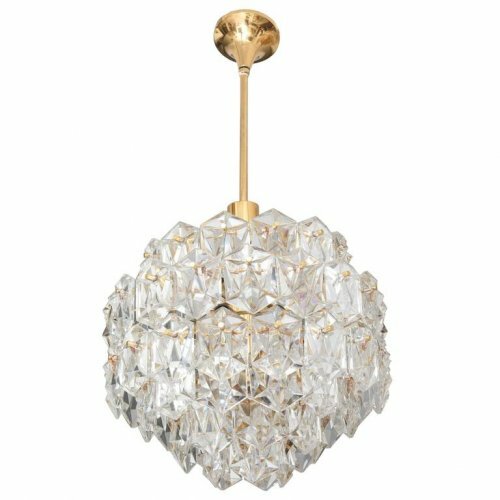 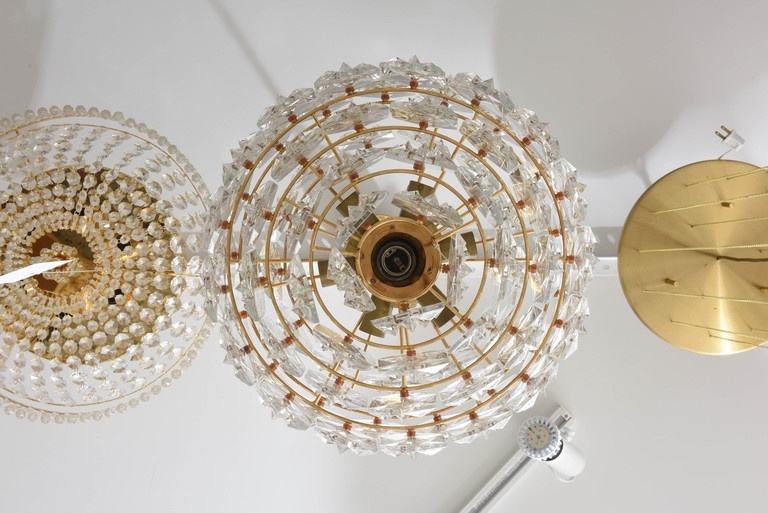 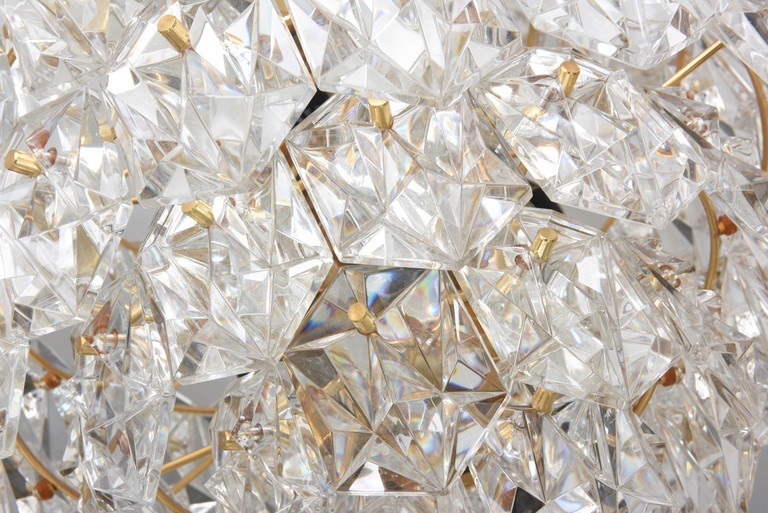 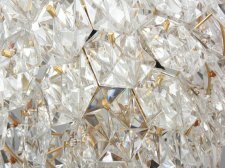 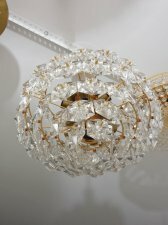 This mid-century modern chandelier by Kinkeldey of Germany very much evokes the modern version of the Hollywood-Regency style with its 24kt gold-plated frame which supports six-tiers of clear flat-backed, hexagon shaped, multi-faceted crystal prisms. 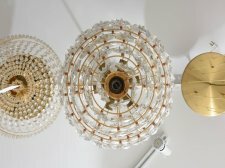 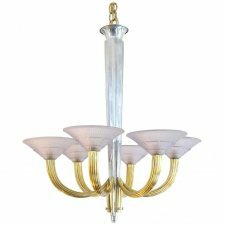 The main part of the chandelier is approximately 14" in height and 17" diameter. 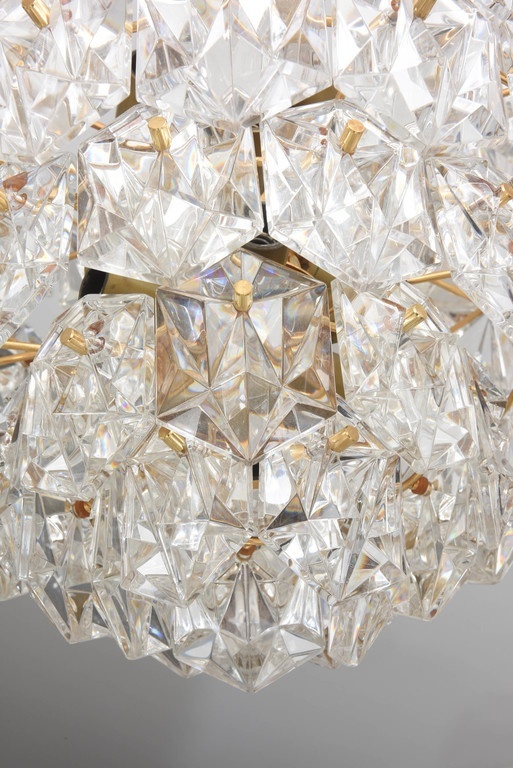 The piece requires 16 candelabra bulbs.